Every single piece packed in a super gift box ,then in carton,with good resistance to wet and shake for long distance transportation. 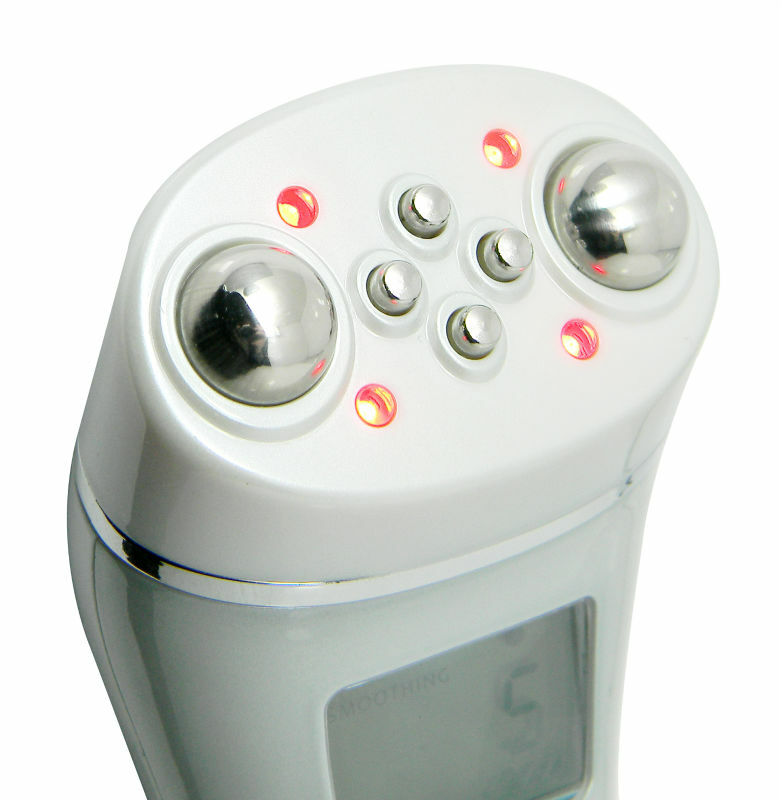 this beauty care device employs radio frequency (RF) thermal technology for high frequency thermal skin care, together with EMS to treat facial musles.there 4 RF output heads, providing RF waves at one million vibrations per second, as well as an EMS output head for alternating low frequency electric current. thermal treatment and muscle stimulation may be carried out simultaneously. 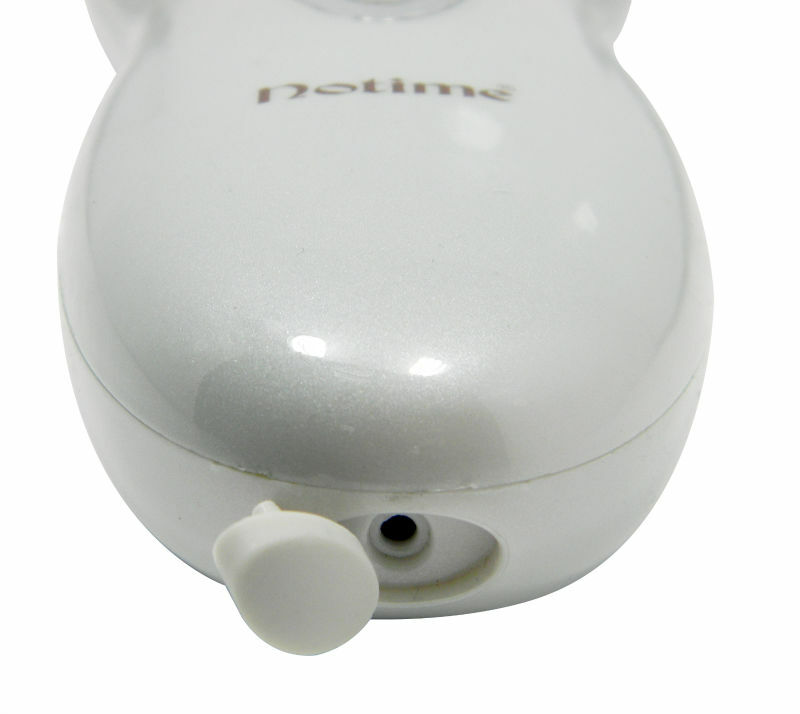 temperature sensor in the device is used to gauge the temperature, protecting the skin and ensuring its gentle warming with temperatures maintained at approximately 40°C. 3.apply aqua gel on area to be treated. 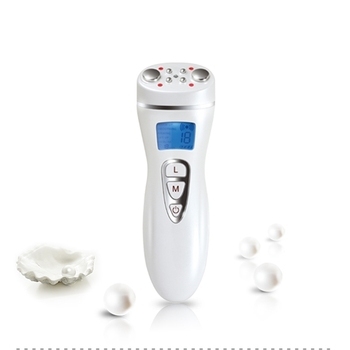 4. power on the dream beauty pro. 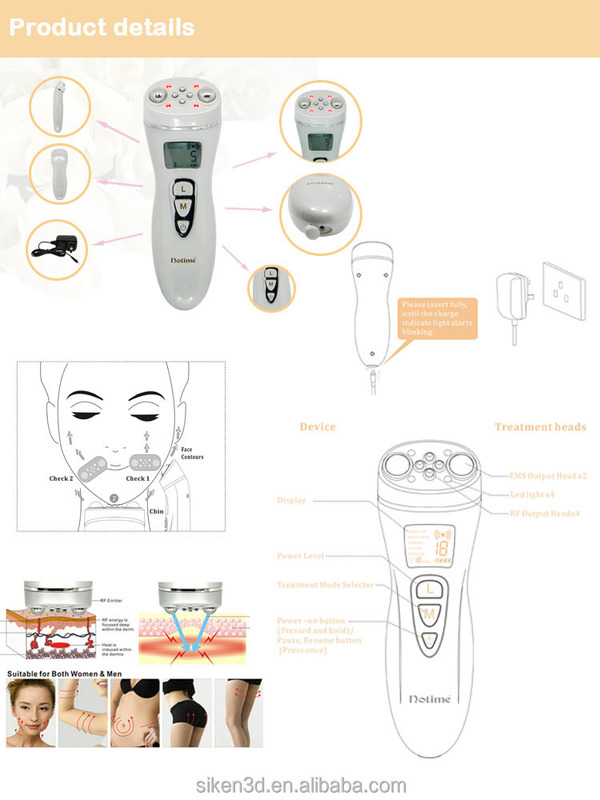 7. place the dream beauty pro on area to be treated, following the procedures described in"treatment", slowly glide the device in the direction indicated by the arrows. 8. end the treatment procedure for each part after3 minutes. 10.put the device in storage. 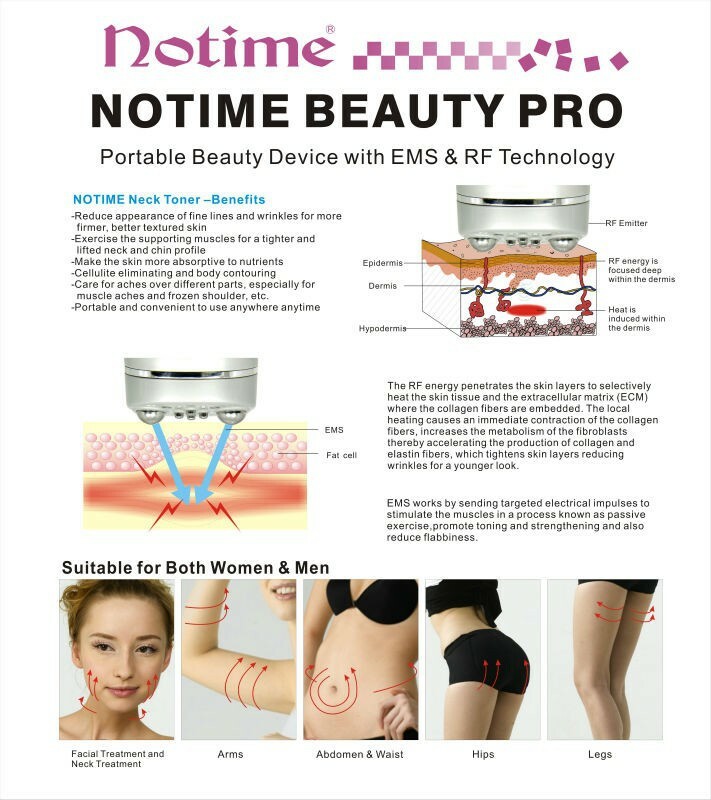 EMS,electric muscle stimulation,using electric impulses to stimulate muscle contraction,this high frequency electric impulses are generated by beauty device and delivered via electrodes, can go through skin directly deep into cellulite,induce deep central nervous system to stimulate muscles contracting,keep fat cells in high speed active state,local fat layer are fully exercised ,thus accelerate body's basal metabolism.EMS slimming method is a way to promote body passive movement through electric impulses,and its stimulation can last 24 hours after treatment. Radio frequencies in the range from 300KHz to 30GHz. 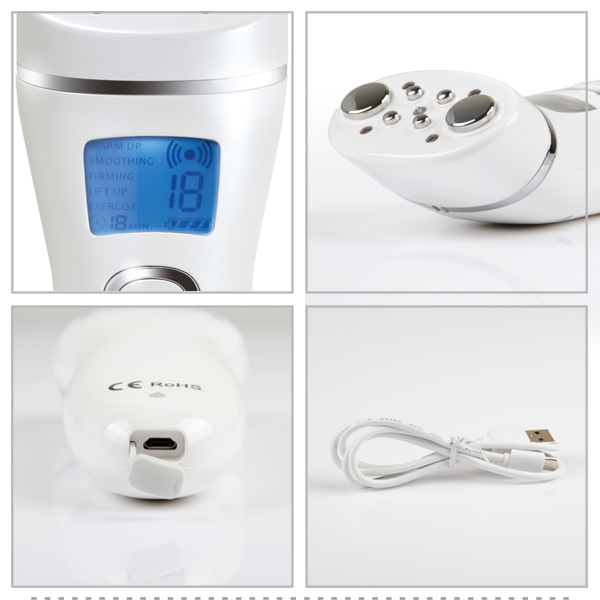 RF tepid effect, can improve skin surface temperature,this kind of thermal effect can be conducted into skin dermis layer of collagenous tissue, induce skin coping mechanism,stimulates the production of collagen while slowing down the collagen breakdown. Siken 3D established in 2000, is focused on electronic beauty healthy products designing, manufacturing and marketing. 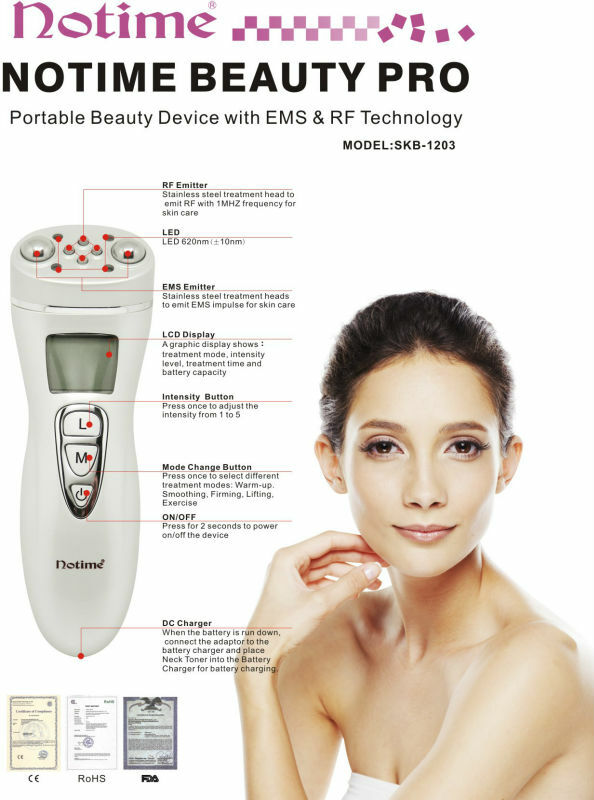 Our main products are intelligent negative ion beauty devices, ultrasonic beauty equipment, wrinkle removal pen, body contouring instrument, facial brush, etc...The main technology covers micro-current, positive and negative ions, EMS, ultrasound, high frequency pulse current, IPL, infrared, laser, and radio frequency. 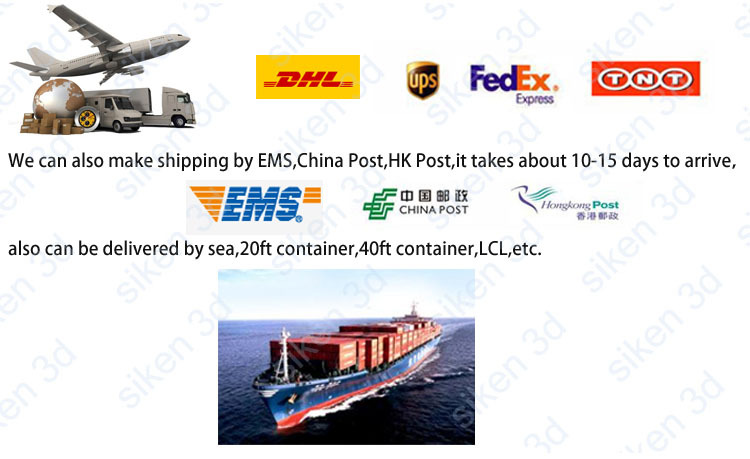 Siken 3D is capable of offering specialized solutions according to each customer’s requirements, from the exterior design to the interior mechanical design, from electronic PCB design to IC programming, thus to provide more personalized products to customers. 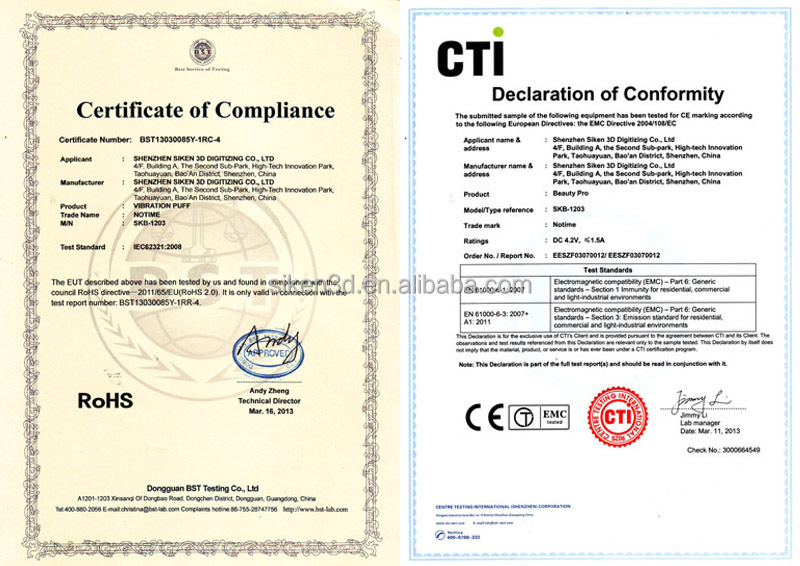 All of our products have patents, our own brand Notime is praised by people in this field. 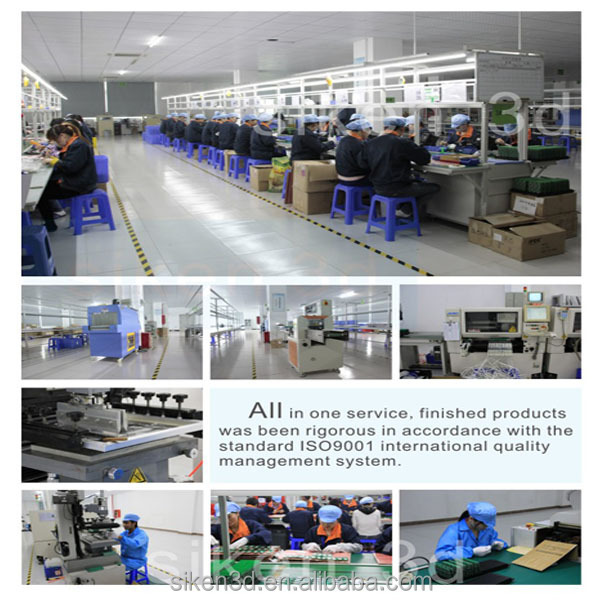 ShenZhen Siken 3D is a professional manufacturer for beauty equipment in shenzhen, china. 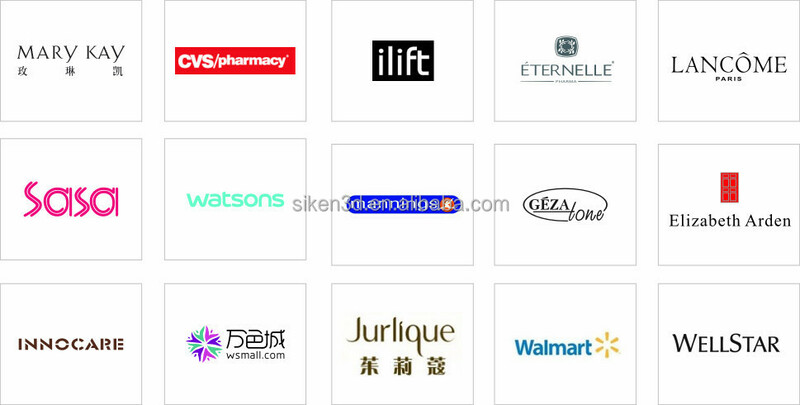 our products have been well received by some name-brand company as MARKAY,CVS,Elzabeth Arden,Lancome,Herbaline,Ilift,Gezatonne,Watsons,Tiens,etc. 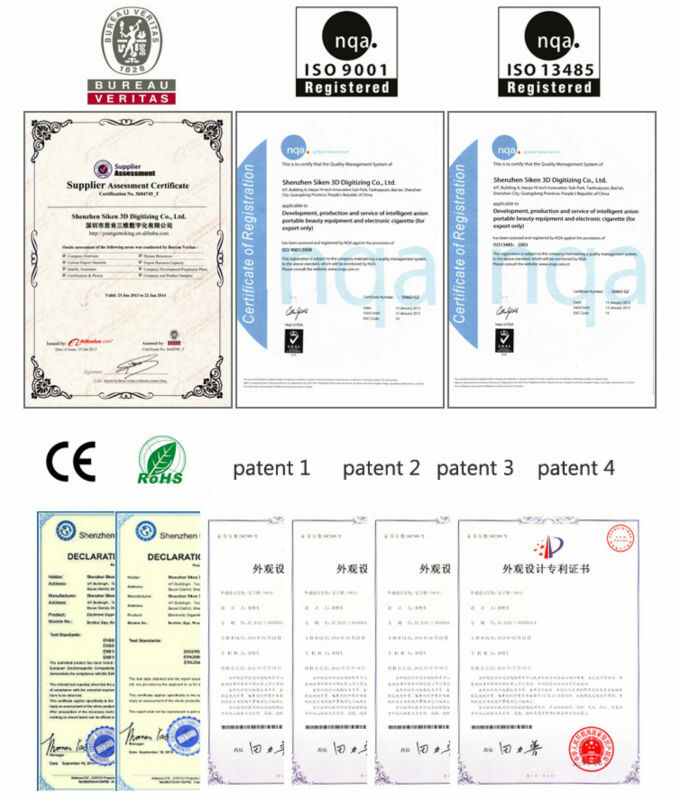 1 Under the terms of this warranty, if the product have a failure occurs under normal usage within warranty period, SIKEN 3D will provide free/rework new products based on the proof-documents. 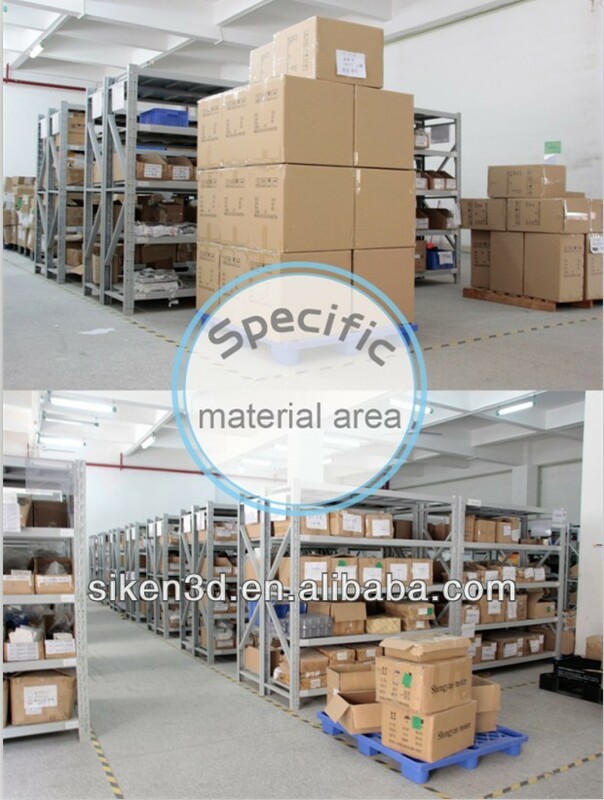 2 If Failure or damage due to incorrect operation, wire connection, or anything other do not follow our instruction, SIKEN 3D will provide paid maintance within warranty period. 1.paper use manual along with the machine. WELCOME TO VISIT OUR FACTORY ANYTIME YOU WANT ! i. What's your delivery time? ii. 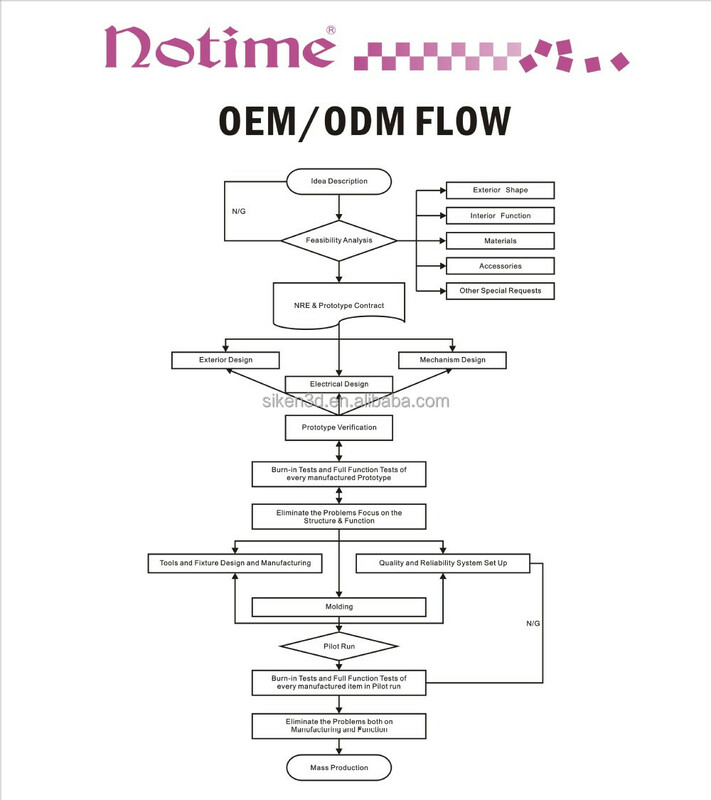 I am very interested in your product, how can I learn more about it? - Please click the below "Chat Now" button, or leave a message. I will reply you within 24 hours. iii.How long can I see the results? Usually it takes at least 2 weeks to see obvious result.The results are cumulative,each treatment builds upon the last. For enhanced results, please use proper skin care products for each step.